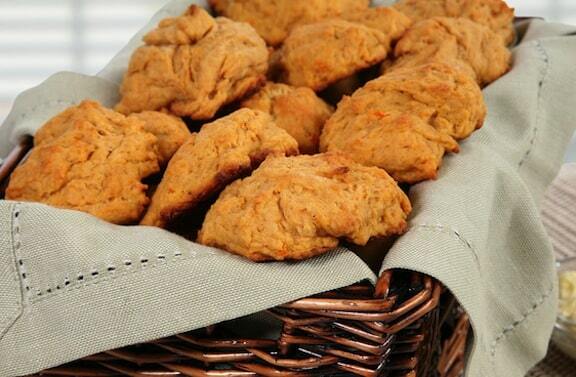 These vegan sweet potato biscuits are so moist and flaky, they practically melt in your mouth. Sift flour, baking powder, and sea salt together. Cut in margarine or coconut oil until mixture resembles coarse meal. Mix in sweet potato and milk until combined. Scoop out 1/4-cup mounds of dough (an ice cream scoop works well) and flatten to biscuit shape on unoiled baking sheet. Bake 25 to 20 minutes, or until bottoms are golden.